I allready started to clean the speedometer and late February, I took care of reassemby it. 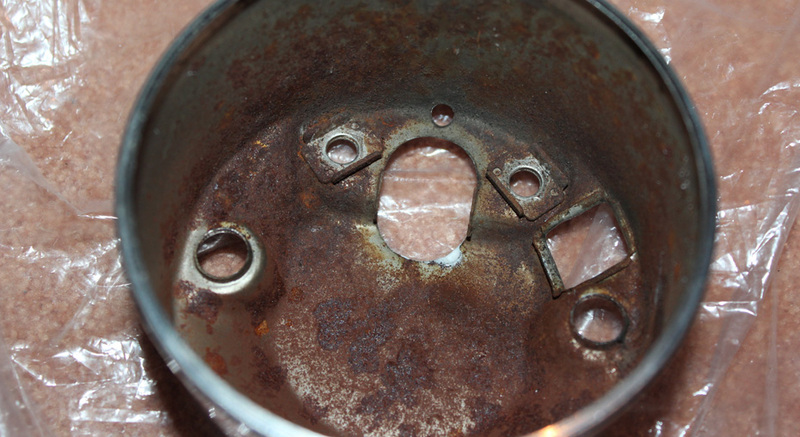 To remind you, I had rust inside that I handled with Restom product and some steel wool. Some marks are left but no more rust. 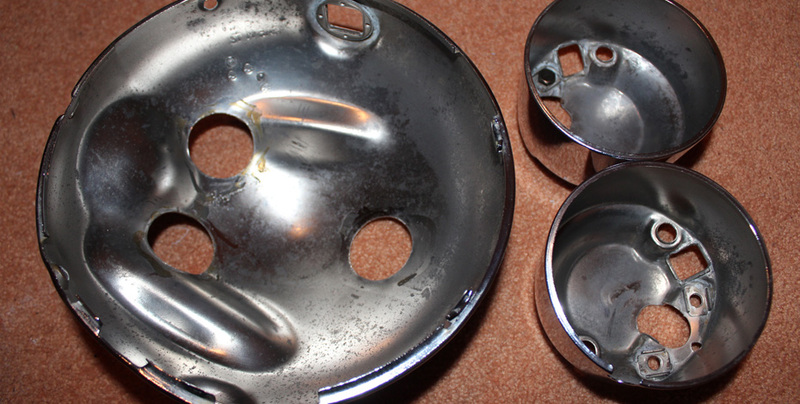 I’ve apply a protection from Restom with a paintbrush et it should not rust again. I’ve taken care of both and of the front light as well. 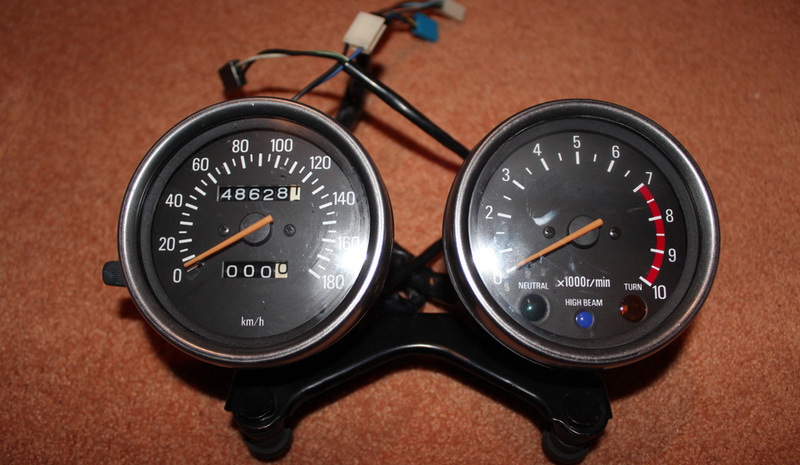 I still have work for the front light but I’ve reassemblied the speedometers.